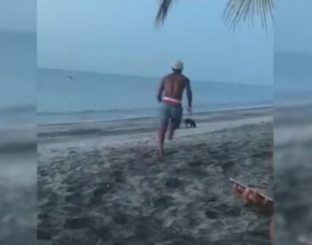 A man starts to run to bother a dog wandering on a beach. Unfortunately for him, the karma will teach him a lesson! SPOILER: The man is chased by several stray dogs and fell on the sand before you end up with water. 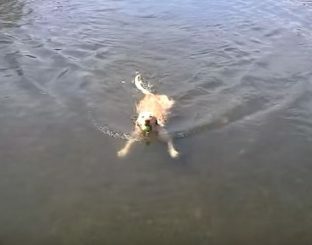 Emma, a female 3 years old labrador with hip dysplasia, swimming at the surface of the water by doing the breaststroke to pick up his ball. When you're too lazy to get up to turn off the light. 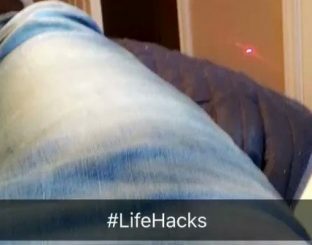 A man lying on his bed was too lazy to get up to turn off the light. Fortunately, he knows a trick. He uses a red laser pointer to draw his dog to the switch so that he pressed with his paw. A kitten has found a new toy for fun. Under a dog, he discovered a pair of bells and fun to type inside with its legs, and even chew them. 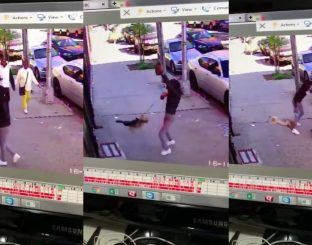 The dog seems not bothered that you hit the testicles.